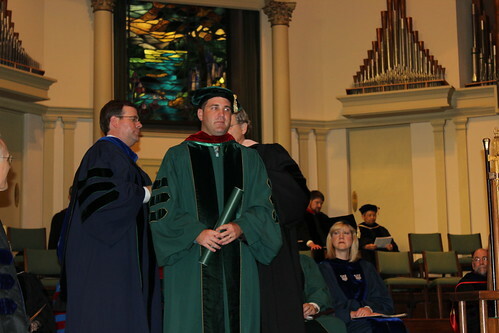 Last week on the sixth anniversary of my Dad’s death, I walked across the stage at First Baptist Church Waco to receive my Doctor of Ministry degree. 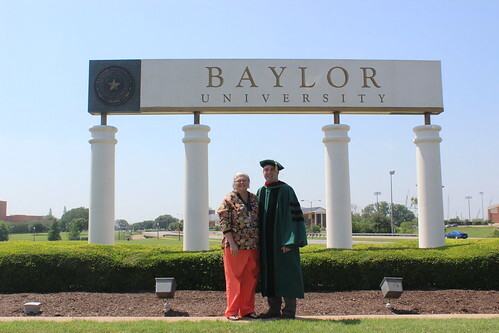 I began this endeavor just a few months after my Dad’s passing and can’t help but think about how proud he would have been to see me hooded last week. The education I received at Truett has already been beneficial to my ministry in Jay. I am thankful for those who helped me navigate through this process even when the easy thing to do would have been to quit. I am grateful to my family for all they have done to see this day come. Kate encouraged me the entire time, even when I was ready to give up. 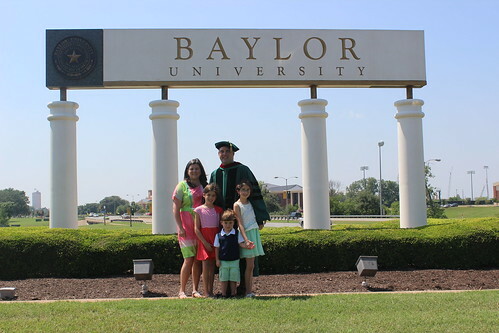 It was not the workload of the of the degree that was overwhelming, it was balancing that workload while striving to still be a Husband, Dad, & Pastor. Kate helped me to keep all things in balance. The kids often had to sacrifice time with their dad while I was away for class, often two weeks at a time. They allowed me to get away for a few days while I was working on my project and they gave up many evenings while I locked myself in the camper to complete class assignments. I am thankful for loving and supporting parents. This is now the third time my mom has seen me walk across the commencement stage of an academic institution. Her continued support has been an encouragement to me. I am also thankful for the support of Kate’s family. They do not treat me as an in-law, but as one of their own. Many times they were willing to help Kate with the kids while I was away for school. I am glad Mrs. Lori was able to be there for the commencement ceremony. 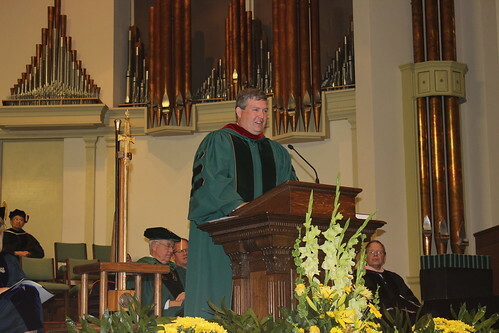 It was a unique privilege to have Matt Snowden, my first college roommate, deliver the commencement address. 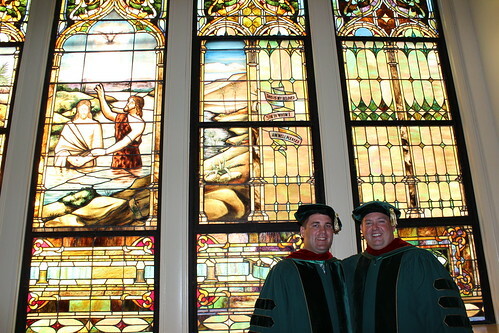 Matt and I were thrown together by William Carey College in the Fall of 1997. We had organizational and theological differences, but throughout the years our friendship has endured. I proud to call the Snowden family my friends. I am also thankful to the many professors at Truett who took the time to invest in my life. Ron Cook, the director of the Doctor of Ministry program at Truett, has been a constant source of encouragement. 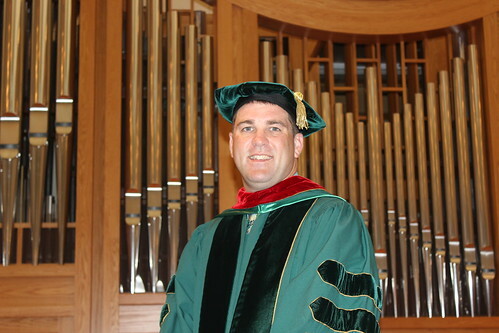 He has a pastor’s heart with an academic mind. 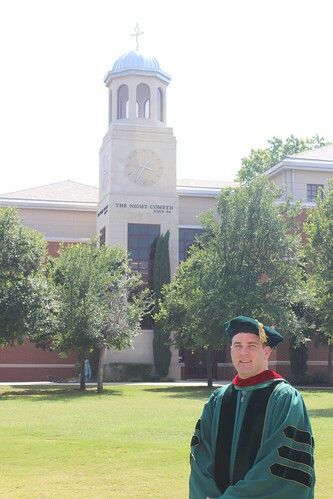 My faculty supervisor, Dr. Levi Price, provided insight and support throughout the process as well. His guidance helped me to formulate the process that would become my doctoral project. 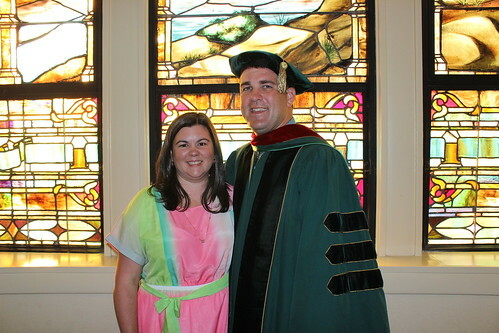 My pastor, friend, and field supervisor, Dr. Howard Gates, has helped me to become the minister I am today. He has helped me to understand both the hardships and the blessings of serving a church. There are so many others who have helped me throughout this process. I am grateful for all the prayers and support. Below are a few picture from the day. 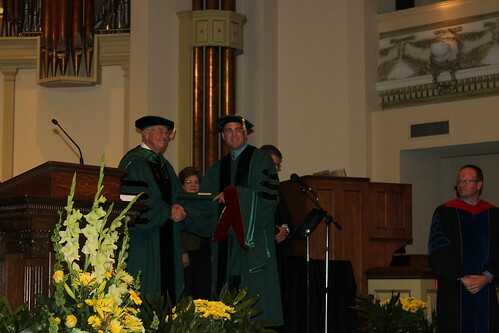 Receiving my degree from Baylor’s President, Ken Starr. 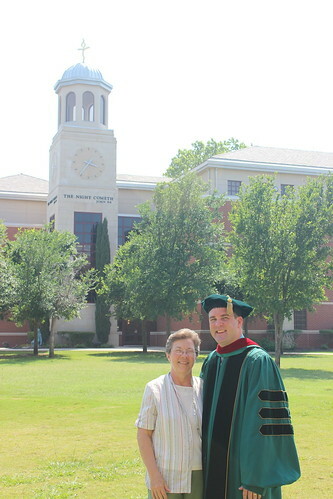 Standing in front of Truett Seminary on Baylor University’s campus. Inside the chapel at Truett Seminary. 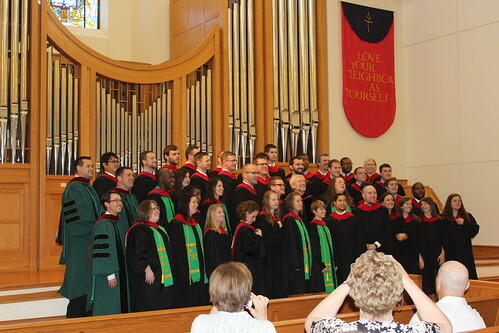 Truett Seminary’s May 2013 graduating class.